As I sat down to create tonight, I found myself puzzled at how I was now working at a space no bigger than an A2 card. lol Seems like I am due, or overdue, for a great big clean up. Instead of doing that, I grabbed out an image I had stamped and partially coloured and decided to finish it off. You have to get your priorities straight! The clean-up will come this weekend. You’ve seen this stamped image a few times now. It is the Asking the Flowers (2296K) stamp from Penny Black. Just love this one! And I have to confess I think there are a few more stamped images in the pile…. Decided to keep this a super simple card – water coloured with Distress Markers, a little border and then pop dotted on the card. Quick, simple and a little cute to boot! Materials used: Stamps – Asking the Flowers 2296K, Salutations 30-014, Scroll Tapestry (Penny Black); Cardstock – American Crafts, Bazzill Basics Paper, Knight; Distress Markers (Ranger); Craft Punch (Fiskars) and Corner Chomper (We R Memory Keepers). Hope you all can find the surface of your work space! The visual of your A2 sized crafting space has me laughing; what a most apt description of a ‘creativity zone’ spilling over itself! Brilliant! I ‘wish’ I had a space to leave clutter! At home, I have only the kitchen counter, so it’s a daily routine of ‘bring out, put away’ (except when my husband is away, in which case, let the ‘mess’ prevail!). Here at my folks, the mobile crafting unit is limited to whatever I could cramp into two boxes (amazing, actually, how spacious they are with some strategic packing). Still, working out of boxes is like living out of a suitcase; equal time spent looking for things as creating! Big wish: a bungalow, with a garage, yard, garden and a room that I can dedicate entirely to ‘my stuff’. Perhaps it will happen; the universe works in magical ways! Now this image of yours: I echo Bev – darling to the nth degree and your colouring inspiring to the nth degree! FABULOUS!! Hope you had a fabulous week and wishing you an excellent weekend! Looking forward to your next ‘Kylie special’!!! Oh C, isn’t it frustrating having to pack up all the time. I have been there. I have just taken over a table at the moment. haha I had an outdoor space once upon a time. I didn’t enjoy it because I couldn’t craft anytime at the day or night. Well, I guess I could have but when it is cold and dark you don’t really want to go out and in. Just my experience though. 🙂 My wish is for a huge dedicated space where I could have friends over to create with. That’s the dream. One day! 🙂 Let’s hope we both get our wishes. 🙂 THANK You SO much for your such kind comments. You are too sweet too! Hope you have an amazing day! lol I can relate, Bev! For me, I really do feel more creative when I am more organised so it was definitely worth tidying up a bit…plus I really needed more than an A2 space to work. lol You are just so sweet, Bev! Thank you so much. 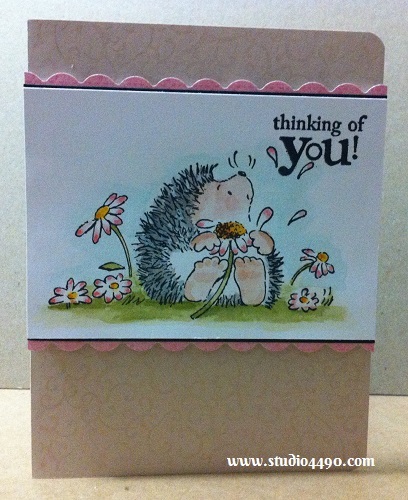 I agree – this cardmaking world is so supportive and encouraging. I am feeling pretty blessed to have “met” people like you and Carol! Hope you have a wonderful day!